Welcome to All-Tex Recyclers Ltd, a textile recycling and export company with a commitment to sustainable development. 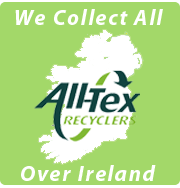 All-Tex Recyclers operates a wide range of collection services including clothing banks, fundraising schemes and charity shop collections. All-Tex Recyclers harness the power of wind!